Illuminate, revitalize and restore your complexion’s natural glow while you sleep. 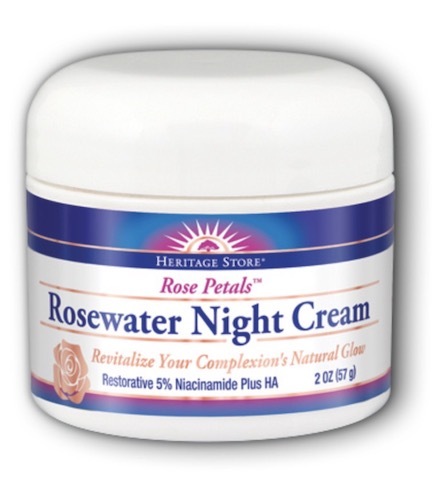 Rosewater has been trusted for centuries as a beautifying skin tonic. Professional strength 5% Niacinamide. Powerful antioxidants featured in dermatologic studies for healthy skin. 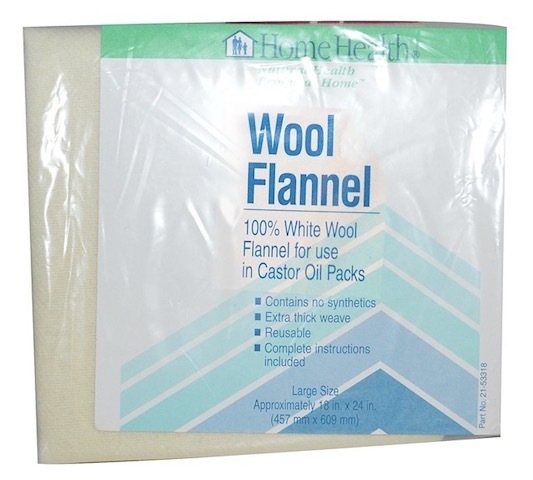 Absorbs quickly to support collagen & improve elasticity. Diminish the appearance of fine lines, wrinkles, and under eye circles. Hyaluronic acid and Sodium PCA support intracellular matrix for hydration. 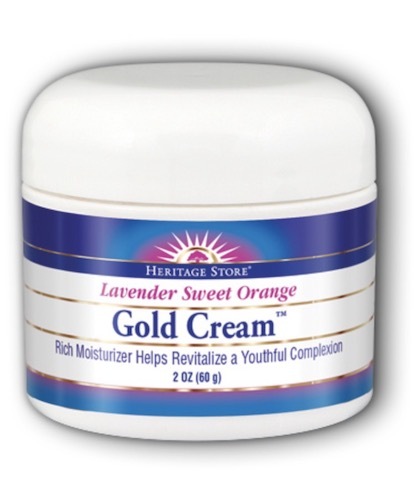 Olive, Grapeseed and Almond oils, Allantoin, Aloe and B-12 nourish skin. Gentle enough for delicate, mature and sensitive complexions. Silky pure rose enriches natural harmony, love-energy and grace. Directions: After cleansing in the evening, gently apply to your face, neck and decollete to moisturize beautiful supple skin. Ingredients: Purified Water, Caprylic/Capric Triglycerides, Niacinamide (Vitamin B3), Glycerin, Olea Europaea (Olive) Fruit Oil*, Glyceryl Stearate, Stearic Acid, Cetearyl Alcohol, Emulsfying Wax NF, Vitis Vinifera (Grape) Seed Oil, Prunus Amygdalus Dulcis (Sweet Almond) Oil, Phenoxyethanol and Ethylhexylglycerin, Aloe Barbadensis (Aloe) Leaf Juice*, Sodium PCA, Allantoin, Sodium Hyaluronate (HA), Xanthan Gum, Hydroxypropyl Methylcellulose, Rosa Damascena (Rose) Flower Oil, Vitamin E (Tocopherol) and Vitamin B12 (Methylcobalamin). Warning: For external use only. Avoid contact with eyes. Keep out of reach of children. If irritation, redness or discomfort occurs discontinue use and consult a licensed health care practitioner. Store in a cool dry place.